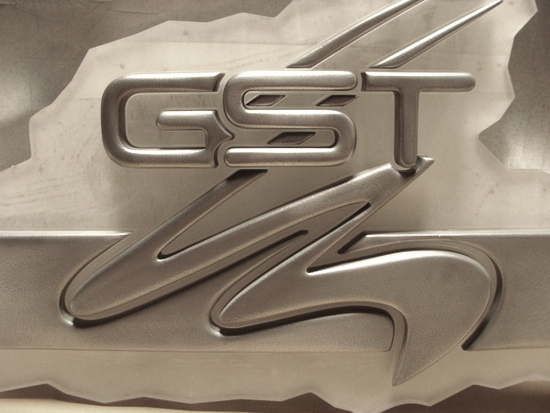 Above is shown an aluminum-coated 3D carved High-Density-Urethane wall plaque of the logo for a car company. This plaque is 18 inches wide and is coated with aluminum metal, which is long lasting and polishes up just like solid aluminum with a gloss finish, but has a small fraction of the cost. This plaque can be made in any size from 16 inches to 10 feet in width.